All the riches in the world cannot make a happy man. Compared to what was there hundreds of years ago, we have such luxury and comforts today like there had never been before. But we do not fare better in terms of happiness and well-being. What is it lacking in us? It is evident that whatever one is doing, the underlying idea is sustained happiness and joy in our lives.Where does our happiness lie? 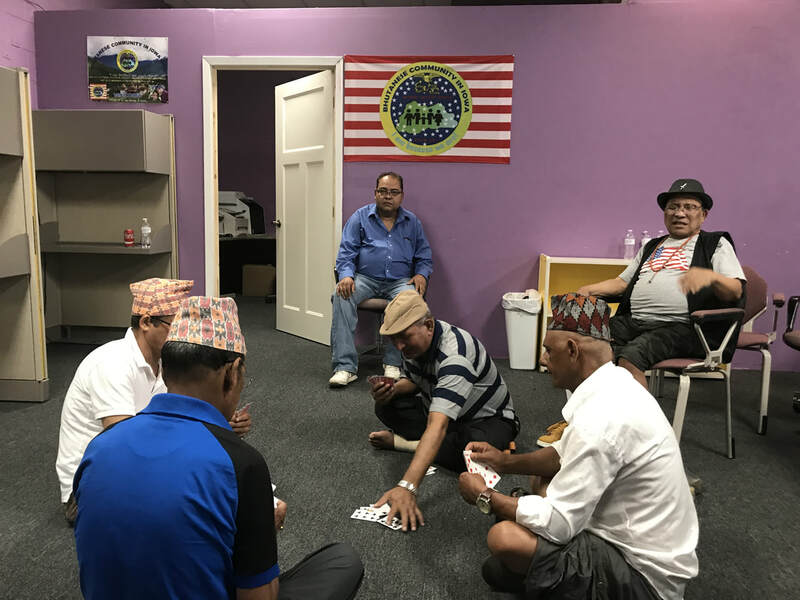 The Bhutanese Community in Iowa likes to walk with you to that reality where we all can attain blissfulness and joy by the way of performing activities that will gear us to that end. Realizing this aspect of life, the BCI envisages the practice of certain traits like the yoga and involvement in self realization which is usually the most overlooked feature in our life. Yoga does not mean performing bone bending postures but to elevate oneself spiritually. 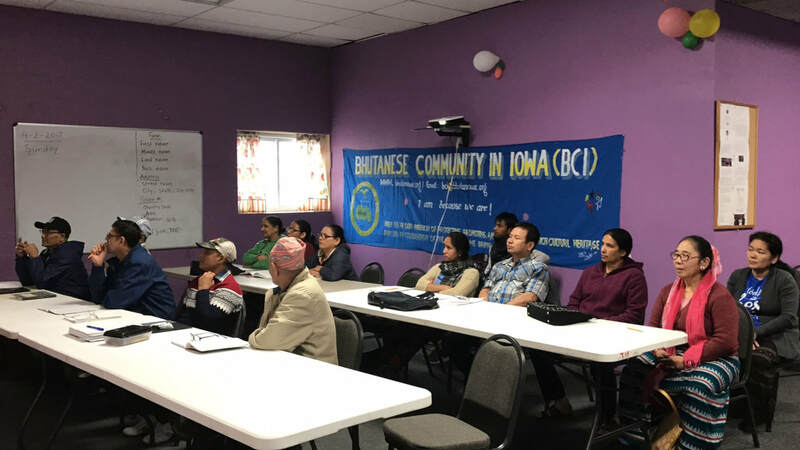 The BCI is doing all its projects and services with the sole purpose of contributing in a small way towards the welfare of all the Nepali-speaking Bhutanese in Iowa. It might be absurd but we all seek happiness in all our endeavors. We cannot detach this feeling from what we do but take it inclusively every time. So, the BCI works with you to share happiness and joy. Please come and take the benefit of our projects and services as always. 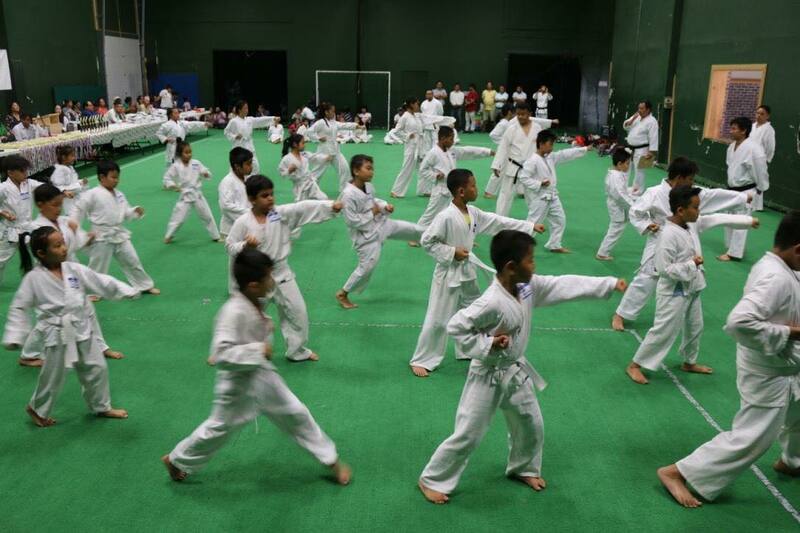 I learned sportive skills, discipline and team spirit through the Karate Training. I request my friends to join this program and be benefitted from it. It was great the BCI helped me and my family fill up our Medicaid application. I appreciate the help and support I got from our community organization. Thanks to BCI for helping me get a job. 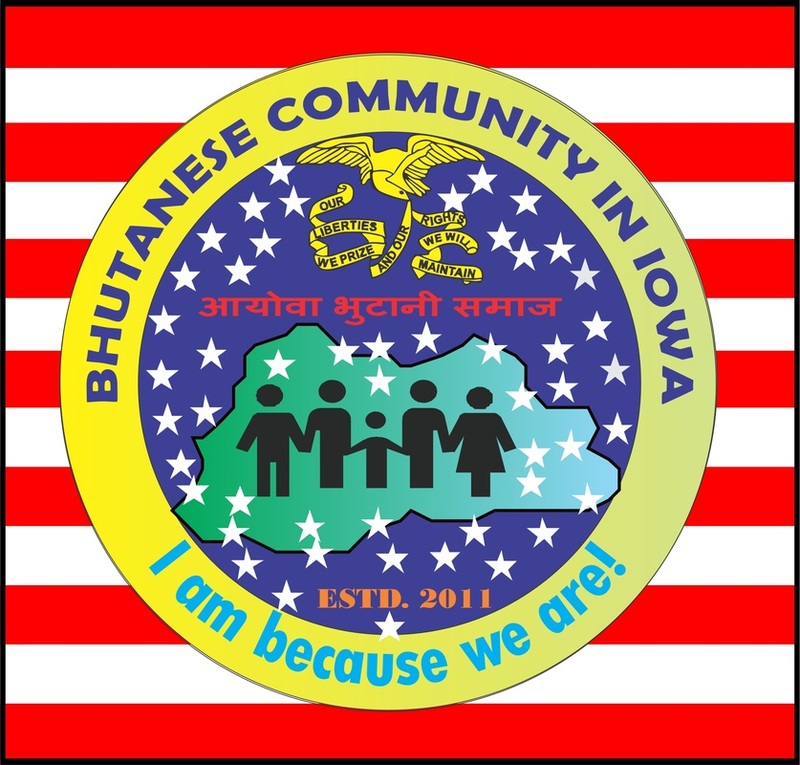 I ask my friends and relatives to take advantage of support through the platform of Bhutanese living in Iowa. I am not an educated woman. However, I took courage to join the ESL class and learn the English language. I am trying hard and my mission is to pass the Citizenship Test. I thank the BCI for all they are doing. ​As a joint venture of the Des Moines and central Iowa based non-profits, the World Refugee Day is being organized in Des Moines on Saturday, June 23, 2018. This celebration is an initiative to recognize the situation of refugees in Iowa and the world and provide support for these people in need of humanitarian or other kind of help. Elders enjoy a time out with their peer groups. The BCI recognizing the need for the elders to be in a company of their friends to interact and share their experiences, has been organizing this elderly program 2017. We intend to break away their isolation with the four walls of their houses so that they can visit places of interest, make fun, play games and interact with each other. 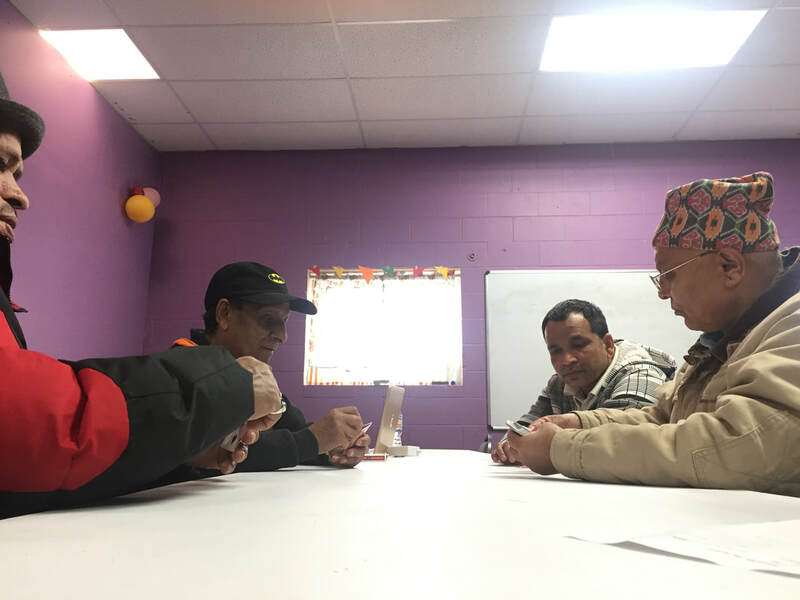 The BCI has only been able to help about 15 elders on a monthly basis but has decided to enhance the activity. However, this requires additional transportation facility. 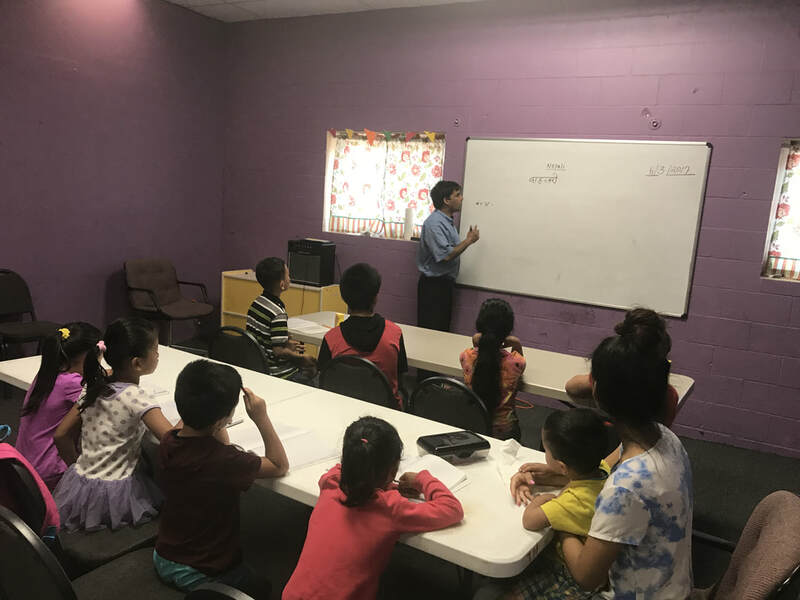 ​The BCI with technical support of the DASK organized a one-day junior Karate grading program for some 27 participants amongst the Nepali Speaking Bhutanese Community in Iowa on Saturday, June 9, 2018 between 10 am to 4 pm. The program was chaired by BCI Chief Executive Director Hem Bhandari and Hemant Lama of the DASK Team was the Chief guest on the occasion. There were a dozen other special guests amid hundreds of public who have gathered to witness the event. There was a salutary display of the art followed by the chairperson announcing the program open. 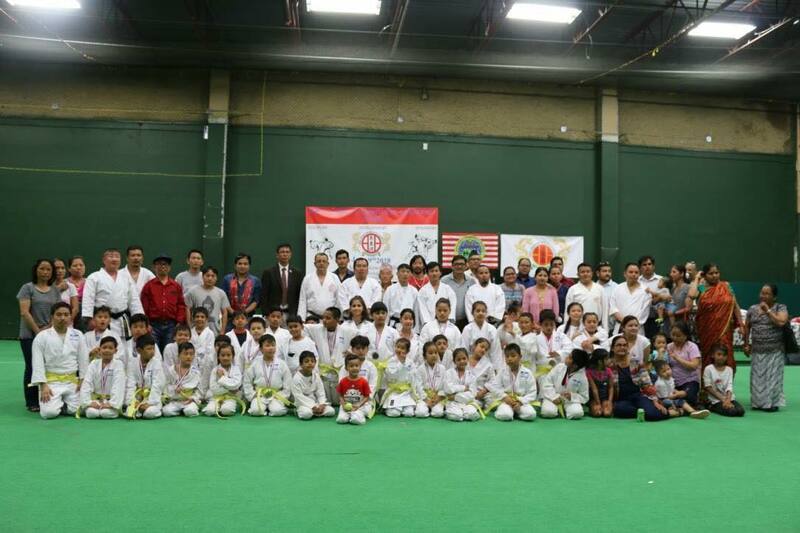 There was a session on junior seminar and training given by Tilak Gurung the home-based Karate instructor and TR Rai from the DASK senior team. 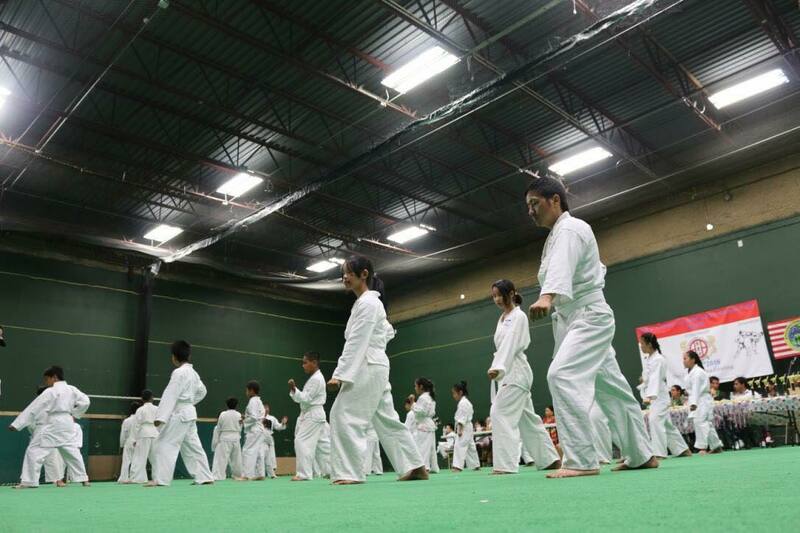 There was an extensive practice and positions performed by the participants. As this went on the DASK experts conducted the grading according to the standard evaluation format. Some of the salient features included good forms, sportive attitude, technical performance, athletics, discipline and respect. This was followed by some dance items and speeches by Dilip Bishwo on behalf of the BCI and Hemant Lama as the President of DASK reiterated his support to the BCI to effectively run the program. He expressed his satisfaction on the outcome of the BCI initiative. 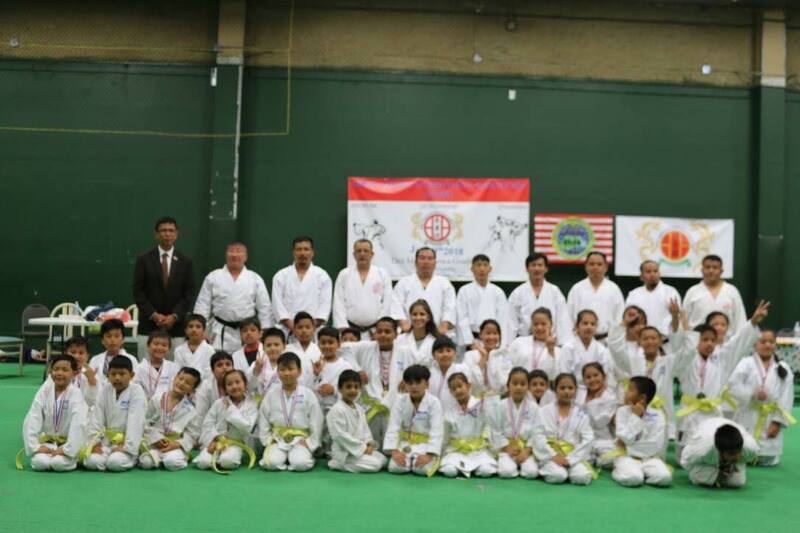 The DASK President awarded certificates to 6 seniors after which he awarded yellow belt and a medal each to all qualifying children who were between the age group 5 years to 14 years. The sensei or the Karate Gurus are themselves the members of the Nepali-speaking Bhutanese Community invited from out of state namely Hemant Lama from Vermont, TR Rai from Pennsylvania. 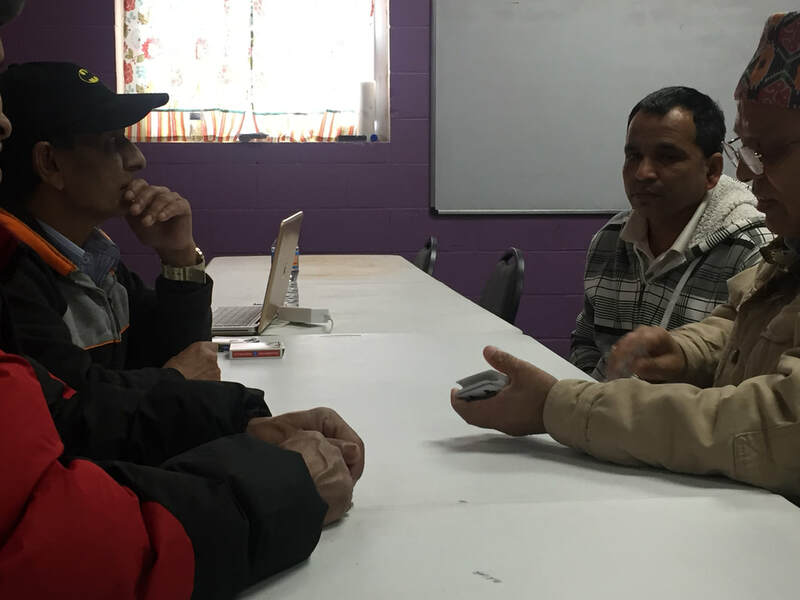 Purna Tamang from Pennsylvania, TN Nepal from Pennsylvania and Raj Magar from North Dakota. Tilak Gurung was the master of ceremony of the day's program. The leaders of the BCI faith-based organizations graced the event as special guests. While the services account for the immediate need of the members, the BCI also provides projects twice in a week manner. 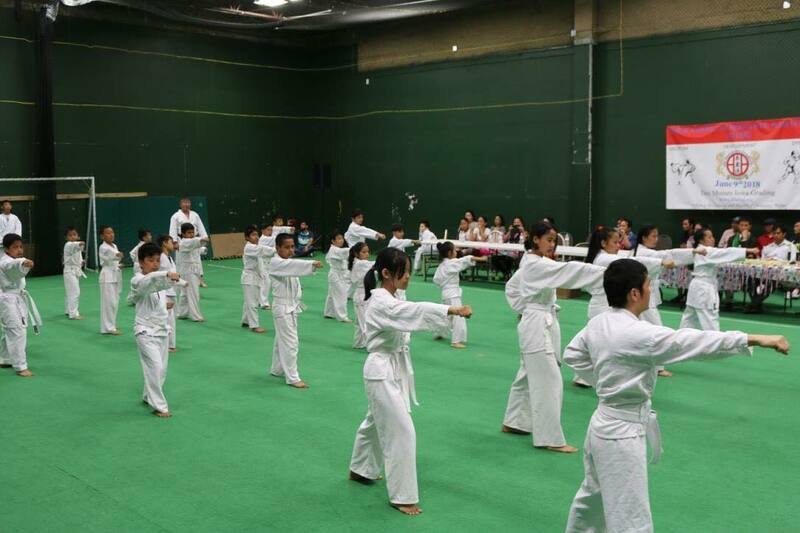 They are ES, Computer Literacy and Elderly Program, Karate Class and Dance class and more. My name is Singh Bahadur Tamang. I am a 72 years old man hailing from Danabari village in Gaylegphug. We were 11 of us living as prosperous farmers in our family since many generations. Initially, we had a good life with good harvest and rearing of cattle. We used to grow tons of paddy, maize and millet which were more than abundant. The government had implemented a canal project which gave us a good agricultural benefit. They also started a scheme for electricity and drinking water, but which never materialized. We never had electricity and clean drinking water. We had to depend upon the river water. As time passed by life became very difficult to live in Bhutan. The government asked for the certificate of origin even to people who had never seen a place outside Bhutan. People were categorized from Form 1 to Form 7. Form 1 denoted genuine Bhutanese while Form 7 were treated as non-Bhutanese. Those in between did not qualify as Bhutanese as they were termed returned migrants, Bhutanese man married to non-Bhutanese or Bhutanese woman married to non-Bhutanese man. First they seized our guns and then took away all our documents including the receipts of forced labor paid to the government. We were in F1 but the situation was so terrifying and the so called security forces started torturing common people alleging them of sending their sons to political party. There was also a people's uprising demanding justice. From each village nearby people started fleeing the country. The army and police harassment reached such a peak, we had no option but to leave the country. We left our village to arrive at the refugee camp in Timai in eastern Nepal where we lived for 17 years. We were given the option of third country resettlement by the US Government and we came here in July 2009. Our family live in different houses in Des Moines. I live with my daughter in an apartment in Meadowchase Lane here. I realize that it has been good that we are resettled here because we have been given all facilities like health and food assistance and even citizenship. The BCI extends hearty invitation to all the members of our community to take the free benefit of the projects and services being offered here upon appointment. 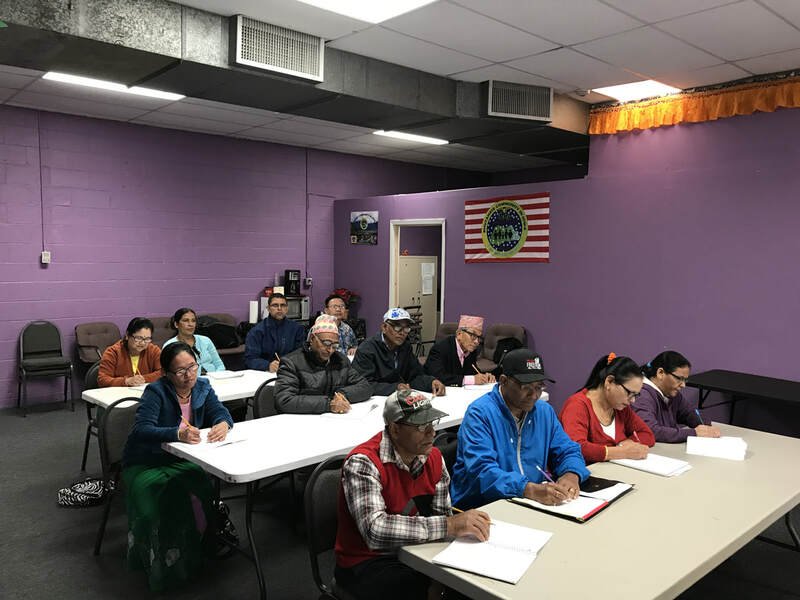 Some of them include ESL and Citizenship class, Karate classes, Computer Literacy Program, Elderly Program and benefit applications, application for citizenship, green card, translation and interpretation services.